With over 30 years of experience, our property damage repairs in Marlborough, CT are the professional choice. From storm damage to mold growth, Sante Property Damage Reconstruction has seen it all. We offer our clients fast solutions that halt the spread of the disaster. Invested in our employees, expert technicians are trained and always on hand for emergencies. Our compassionate customer service even works with insurance claims for property damage reconstruction to keep stress and costs low. Licensed and insured, we are a qualified disaster service. Clients come to us in an emergency, and we stabilize and secure the property quickly. Our property damage repairs are comprehensive. We will be on your side from start to finish with expert care and quality results. Offering free estimates, Sante creates personalized project plans for disaster reconstruction. Property damage does not have to be a disaster! Sante Property Damage Reconstruction handles mold growth, water and fire damage, and storm repairs. Our services are available 24/7 for commercial properties and residential homes. If you are in the middle of a disaster situation, our expert teams can get to you quickly. We stop the damage from spreading. From stabilizing to sanitizing, we comprehensively reconstruct property damage. You can count on our compassion and craftsmanship. Sante is available with 24/7 emergency disaster services. Call us anytime, night or day, to discover a smart solution to property damage reconstruction and repair. Our more than three decades of experience won’t let you down! There is nothing quite as devastating as fire. Whether you have commercial fire damage or residential, we understand how stressful this disaster can be. Our fire damage repairs are designed to take the stress out of fire reconstruction. If you need help now, call us. We will get to you quickly with compassionate care. Stabilizing the situation, we offer free estimates for any customer. Tailored to you, Sante works with insurance companies for the best claims assistance. Put your trust in our decades of experience with fire damage repairs and disaster reconstruction. Serving Marlborough, CT, we offer water damage reconstruction to businesses and homes. Natural flooding or broken pipes and plumbing leaks can create serious water destruction. At Sante, our trained water damage repair technicians have the know how to eliminate water damage. Licensed and insured, you can have complete peace of mind in our professionalism. We offer expert water damage reconstruction that eliminates humidity and mold growth. 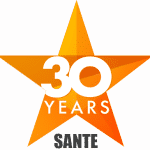 Available to clients day or night, Sante stays on your side from start to finish! Count on us for complete water damage repairs. Sante Property Damage Reconstruction is trained in mold growth repairs. We know exactly what type of mold we are dealing with and how to eliminate it. During our professional mold damage reconstruction, we contain the area to stop the spread of dangerous spores. Nonprofessionals can actually make mold growth worse. If you are seeing visible mold in your home or business, it is time to contact a qualified mold damage repair service. We will completely eliminate mold at the source. Halting what is feeding the growth, our mold damage repairs are comprehensive solutions that stick. Call us now for a free estimate! Sante specializes in professional storm damage reconstruction. Hurricanes, tornadoes, high winds, and downed trees create dangerous conditions for homes and commercial businesses. Our expert storm damage repair works with insurance companies to keep costs and stress low. Available now, we offer seven day a week, 24 hour a day service. Our licensed and insured storm damage teams will get to you quickly with quality workmanship. Sante Property Damage Reconstruction will even provide board up options to secure the storm damaged property! Do you need commercial property disaster repairs in Marlborough? Call us now. We are an insured and licensed property damage reconstruction service. At Sante, we always provide free, personalized estimates. Our goal is to get your commercial property damage repaired to better than before. 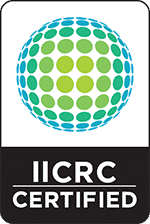 Whether your have commercial fire damage, flooding, mold growth or storm damage, we are the qualified choice. Sante Property Damage Reconstruction has over 30 years of experience serving Marlborough’s commercial properties! We are Connecticut’s premier general contracting solution! Covering the labor, materials, and equipment, we are a professional service. As a licensed and insured general contractor, you will have complete peace of mind in our craftsmanship and integrity. Dedicated to quick and quality work, we meet customer goals and keep costs down. Our decades of experience ensures your success! By planning first, we create smart solutions for our general contracting clients. Call us today to schedule an appointment and receive a friendly and free estimate! Our roots run deep in Marlborough, CT! With over 30 years of experience repairing property damage, you can put your trust in our disaster reconstruction services. Sante Property Damage Reconstruction offer free estimates and licensed workmanship. Water damage, fire property repairs, mold elimination, and storm damage are no match for our expertise. Hire a professional property damage repair service for results that stand the test of time! Does your Marlborough Home or Business have Damage?